Pitsford Water in Northamptonshire is holding an open day on February 18 with the fishery then set to open for flyfishing on February 25. Anglers can meet the Anglian Water’s fisheries team from 10am to 3pm and there’s also the chance to brush up on your casting skills with senior coach Peter Hartley. As well as the usual rods Peter’s going to have a couple of salmon rods handy for anyone who wants to try double-handed casting. Flash Attack Flies and Snowbee will be present. Free sausage baps and hot drinks will be served, copies of the new Hooked 2017 magazine will be available and season permits will be on sale. Plans for the new season are well under way. The overall rod average in opening week last year was 7.2 and expectations are high for some good-sized fish. Following an exciting and enthralling season in 2016 everyone at Grafham is looking forward to welcoming anglers back on March 3. 2017 marks the 40th anniversary of fishing at Rutland Water. Stocking will commence very early in March with rainbows and browns. Any overwintered fish showing at the start of the season should be in tremendous condition. AFTER occasional tensions between anglers and other river users, the Angling Trust has welcomed a formal legal opinion which advises that there is no general public right to navigate non-tidal rivers in England and Wales. Barrister David Hart QC was asked to advise Fish Legal, the legal arm of the Angling Trust, on the legality of river access by canoeists and other paddle sport enthusiasts on rivers. His response rejects the idea of a general Public Right of Navigation (PRN) on English and Welsh non-tidal rivers for canoeists, in the absence of long use of vessels on the relevant stretch of river. That use must have been regular and habitual, for as far back as anyone can remember, and sufficient to establish the river as being of substantial practical value as a channel of communication or transport. The Trust says that Mr Hart’s advice has already helped secure victory in the most recent legal clash between anglers and other river users, when a paddle-boarder backed down from contesting an injunction that would have restrained him from exceeding the permissive access arrangements pertaining to part of the River Dee in north Wales. Mr Hart’s advice was most recently sought after canoe campaigners had briefed their own lawyer to provide clarity on the strength of their position. Her advice confirmed that Hart had correctly reflected the law as it stands but she also suggested that interpretative differences existed from which a court might reach a different conclusion. Having analysed her arguments, however, Hart advised Fish Legal that he still maintained that the courts would be highly unlikely to accept the notion of a public right of navigation and that in the absence of long-term use for navigation, or consent from riparian owners, canoeists and the like will be trespassing. Irish lough part of Brexit fall-out? POLITICAL issues could affect an Irish sea trout location, after concerns were expressed over the fate of Carlingford Lough post-Brexit. Mark Dearey, a county councillor in the Republic of Ireland’s Co. Louth, says that in the fall-out from last year’s momentous EU referendum, he is fearful that the UK may try to claim the lough, which straddles the border between the Republic and Northern Ireland, although the precise position of the border through the lough was described by the UK’s Crown Estate two years ago as an “issue for determination” between the two nations. Interviewed by the Irish Examiner about the possible environmental impact of Brexit and whether a united Ireland could help, Cllr. Dearey said that claims to the lough raised the question of what happen to the water supply to towns on the Republic side. 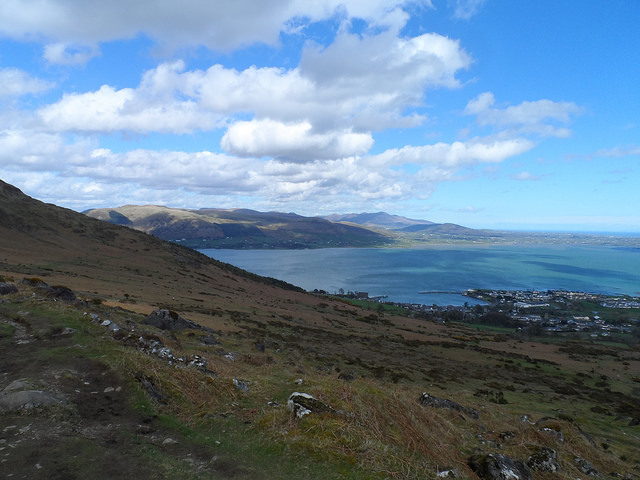 The Examiner report said that Cllr Dearey thought it “quite possible” that the UK will attempt to claim Carlingford Lough as well as there is dispute as to where the high water mark is and what it means for control of the lough. The lough is also popular with sea anglers, drawn there by In particular by prospects for bass fishing.